Marina and I worked at Pure Energy Entertainment together for a few years. Our offices were next to each other and as coworkers, we, of course, spent a ton of time together. When Marina got engaged to Andy I was so excited for her! Then I wondered...is she gonna ask me to photograph it? I waited nervously like a high school kid hoping to be invited to prom. Then in classic Marina fashion (she's funny) instead of asking me at work...she puts an inquiry in via my website. I was excited, to say the least! 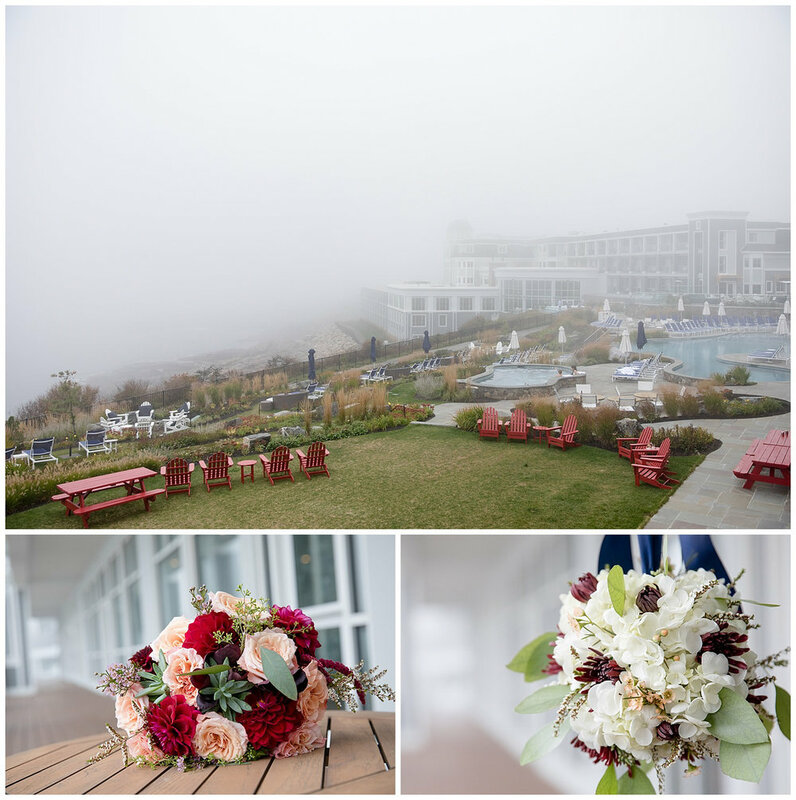 They chose Cliff House Maine as their wedding venue. When they booked the space it didn't even exist in its current form. Marina had to show me computer renderings. It is a very impressive location with sprawling cliffs of granite and endless views of the Atlantic...on a sunny day. We happened to have a VERY foggy day, but we certainly didn't let that get us down. Marina and Andy had a beautiful ceremony performed by her uncle BJ Clarke who did such a fantastic job. There were plenty of laughs and tears. More laughs than tears if my memory serves me right... Their reception was hosted by MC Mark Dixon from Pure Energy Entertainment who is the ultimate professional. If your getting married, spend five minutes on the phone with Mark. You can thank me later. They provided a gorgeous white dance floor and lighting to compliment the space. Thier guests danced the night away and kept the energy flowing! 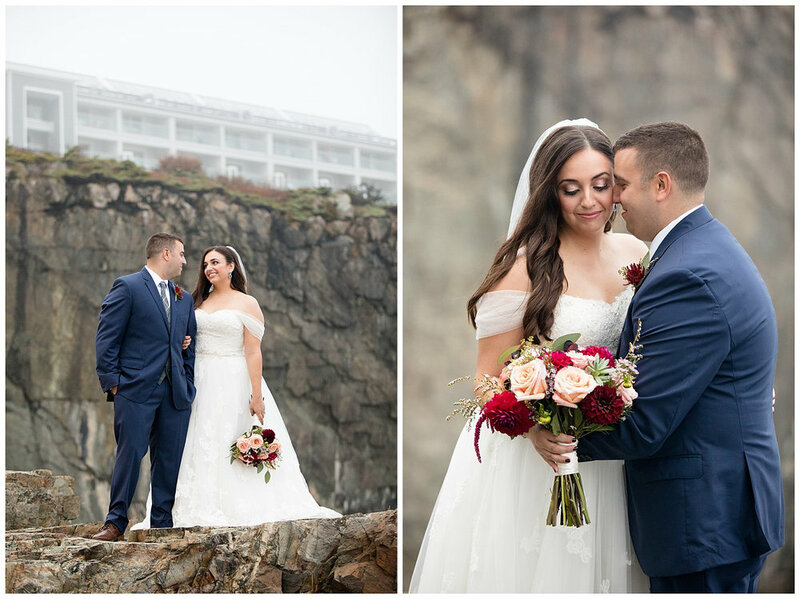 At the very end of the reception, in true Chris Connor fashion, I asked them to follow me to some rocky cliffs in the dark because I had a crazy idea...The fog had cleared and the moon made an appearance through the ribbons of clouds. We created our last portrait overlooking the venue where all the magic happened. Marina & Andy, you guys are amazing. 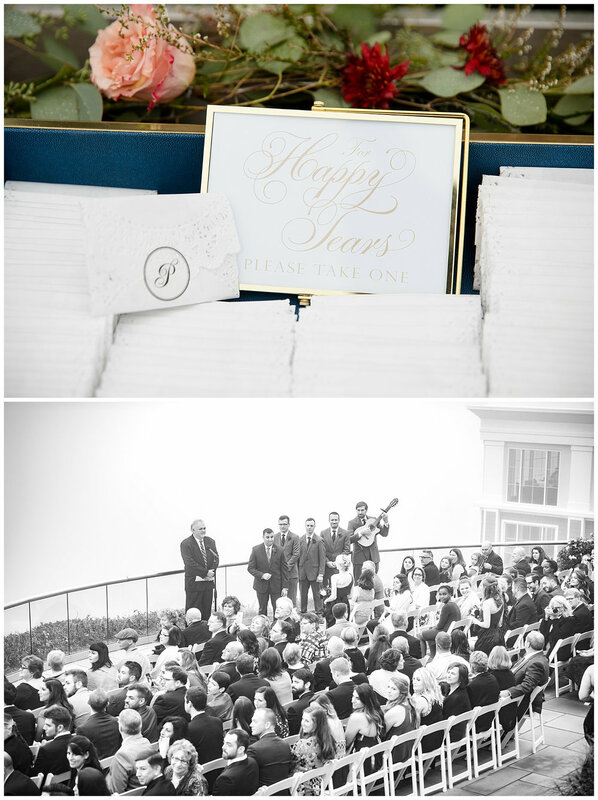 I am honored that I was there to capture this special day for you!